File this under “Other.” | there's no place like gnome. We grilled pizza. It has been a life-long – okay, YEAR long – dream of mine to grill pizzas. I wanted to last summer but we never quite got around to it. We did this past July and it was amazing. Here is a photo of our dough balls and toppings all ready to go. (It cooks FAST so you have to have everything handy.) Fresh mozzarella, ricotta, parm, bacon bits, grilled chicken, herbs from the garden, yum. It was pretty easy and delicious. Here’s the info and dough recipe I used if you’re interested. We’ll be doing it again once my tomatoes are in abundance. In the project realm of life, I finished a tshirt quilt for The Boyfriend. It was a beast of a quilt (large and heavy) and so we sent it out to be quilted. Upon return, I attached the binding and completed it with one of my favorite parts of quilting – hand sewing the back of the binding. All while watching much Stranger Things and The West Wing. 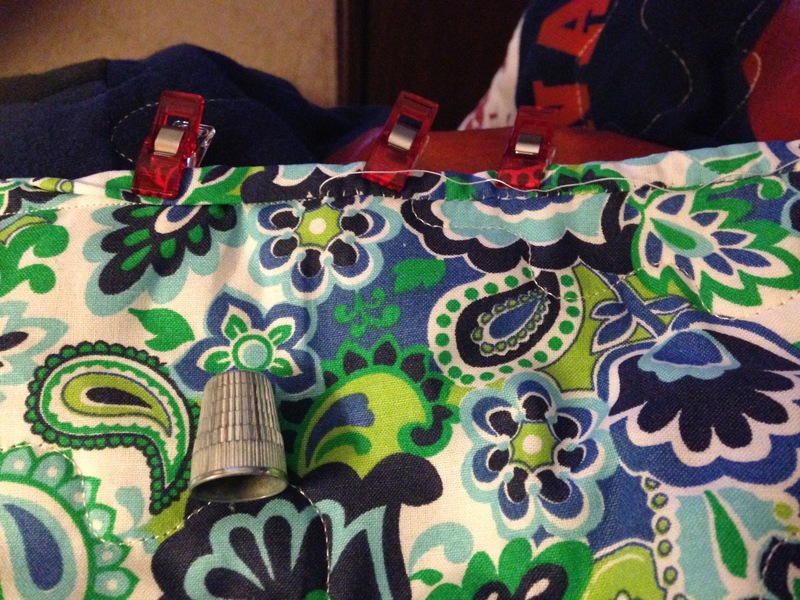 (Photo on the top with my favorite binding tools – a trusty thimble and clover clips!) 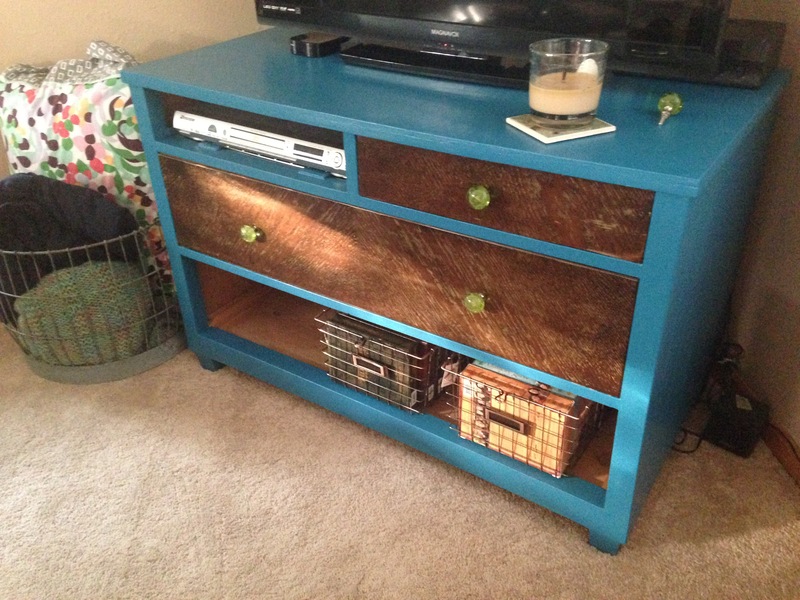 Also in the project realm, I took the green dresser upon which sits my television and gave it a makeover. I painted it to match the accent wall in the living room, stripped the drawers, and stained them to match other living room furniture. I’m pretty thrilled with the result. It’s Hormel’s 125th anniversary this year and so they organized many city-wide activities. One was a “food truck frenzy” – five Hormel product food trucks were spread through the city. Visit them, take a selfie, get a sample or a coupon, and be entered to win in a drawing. We didn’t win but we did have fun biking to each of them. 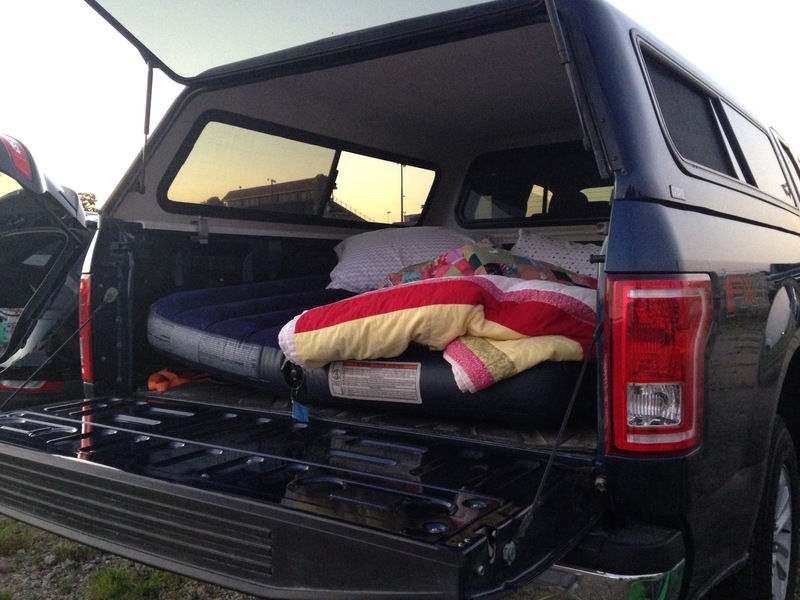 Drive-in movie: ✔️. We moved in with an air mattress in the back of the truck with quilts and pillows galore. It was quite a comfy way to watch a movie out of doors.